Pre-launch tickets are sold out. You can still save $250 during Early Bird, which ends March15th! We’re in the content business—but let’s face it, the best content is an artifact of the conversations we are already having in our professional communities. 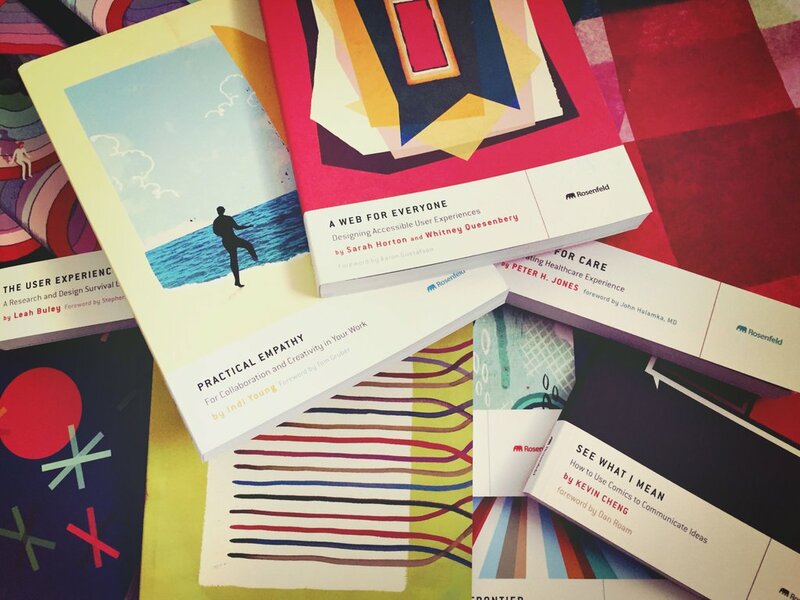 Conference programs, books, workshops—all are simply polished versions of the conversations we’re already having. That’s why Rosenfeld Media began facilitating three communities—covering DesignOps and ResearchOps, Enterprise Experience, and Advancing Research—over a year ago. Through monthly videoconferences and other means, dozens of us have been sharing ideas, content, furthering practices, and learning together in a fun and informal setting. We’re now bringing these communities to the web and adding even more functionality. The first community site, for Enterprise Experience, just went live a few minutes ago, and the others will launch in the coming weeks. Best of all, our communities are free to join. We hope you will! We’re hiring a Sales Operations Specialist! We’re hiring a Sales Operations Specialist to help the company run more efficiently and position it for continued growth. This is a half-time position. Apply below or forward the job listing to someone who you think might be a good fit! We are a small motivated team that values each member’s contribution to the company’s goals. We respect work/life balance and strive to create an humane environment where each employee can reach their full potential. Whether I’m trying to distract myself with drink at a UX happy hour or malingering near the UX Bookmobile, people love to come up to me and tell me what books Rosenfeld Media should publish. A bona fide “intro to user experience” book is by far the most common suggestion of them all. 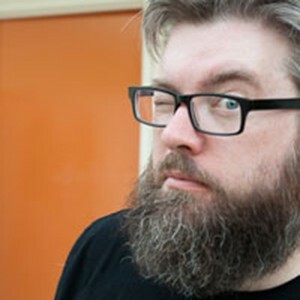 Boon is looking forward to you harrying him as well. Please do — the more “encouragement” our authors get, the better. If we nag him properly, Boon’s book should come out in late 2019. In a nutshell: The 2019 edition of the Enterprise UX conference will focus on two new use cases: 1) helping UX leaders and managers more effectively partner with their peers in product management, CX and other parts of the enterprise that share responsibility for delivering great experiences; and 2) helping enterprise UX practitioners up-level their skillsets to become “enterprise-ready”. To keep up with our program’s progress, join our Enterprise UX community mailing list. What’s the use case for a conference? That may seem like an odd question, but conferences are like any other product—they need a reason to exist. Given their annual nature, you really need to be asking this question every year, especially in a field evolving as quickly as user experience design. That’s hard to do, especially when the wheels of conference production must begin turning well in advance, sometimes more than a year before the event takes place. That’s why we’re making some significant enhancements to the 2019 program to stay relevant. Enterprise UX 2018 was the fourth edition of the conference and, in many respects, we really hit our stride: a user research-driven program, exciting and diverse speakers making polished presentations, and a well-choreographed production. But the 2018 program repeated many of the same themes as our inaugural program back in 2015. While those themes remained relevant, the industry has changed in important ways over those four years. So we’ve begun planning a new program to match the community’s evolving needs. The Enterprise UX conference provides content and community to UX leaders and managers who are trying to build—and sustain—UX teams within large enterprises. The future is famously here but unevenly distributed: since 2015, many of those leaders and managers have succeeded in getting their UX teams established, staffed, and funded. They no longer have to constantly look over their shoulders and worry about regime change, activist investors, and other threats that have decapitated design orgs in the past. UX is now irrevocably a part of the DNA of many—if not most—enterprises. 2) Understand, align, coordinate, and collaborate with peers in other parts of the organization that impact the user’s experience. It’s no secret that the supply of UX talent simply can’t keep up with demand. And perhaps the biggest driver of that demand is the growth of teams at large enterprises. This results in placing fairly inexperienced practitioners—many fresh out of short-term programs like General Assembly’s—into settings rife with complex political, cultural, and historical challenges. These practitioners maybe be strong craftspeople, but don’t have the business acumen and soft skills to succeed in an enterprise setting. To become “enterprise-ready,” these practitioners desperately need to expand their toolkits, and it’ll take more than a single conference to get them there. But acknowledging the need in a public setting is an important first step. Enterprise UX 2019 will offer a variety of workshops to help practitioners become better at the listening, collaborating, negotiating, empathizing, understanding, and partnering skills they need to create and sustain great experiences at enterprise scale. In enterprises—large, distributed, and deeply complex—the user experience can’t be owned by UX teams; at best, we’re its shepherds. UX leaders and managers realize that they need to understand, serve, and partner with peers in all the other parts of the enterprise that impact the users’ experience, whether employees or customers. That means learning the goals, motivations, challenges, perspectives, and—perhaps most importantly—the language of people in HR, sales, CX, engineering, innovation labs, analytics, and the C-suite. We envision an Enterprise UX 2019 program that takes the bull by the horns, teaching UX leaders and managers how their peers think, feel, and act, and modeling ways—through panels, storytelling, group exercises, and other means—to combine forces to create better experiences for enterprise users. At Enterprise UX 2018, we made huge strides in diversifying our speaker roster. The key to reaching underrepresented communities was acknowledging that we, the program curators (Uday Gajendar, Lada Gorlenko, Dave Malouf, and me) lived and worked in a detached, self-reinforcing network made up of people just like ourselves. The only way to reach beyond it was to let go: to delegate a share of our programming to people who inhabited very different networks. It’s never easy to give up control, but the outcome was well worth the risk. 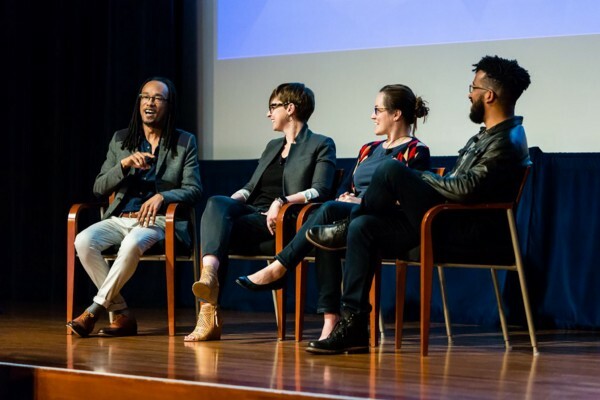 Cross-disciplinary diversity in our program will require a similar approach: adding well-connected members of those communities to our curation team and empowering them to take substantial roles in programming. These ambassadors will help us understand the landscapes of their respective communities in terms of potential speakers but, more importantly, the goals and challenges they face when it comes to crafting successful enterprise experiences. Is it still Enterprise UX? Most definitely. But the past five years have made it clear that enterprise UX is not owned by the UX team—it’s owned by the enterprise. To make the conference a home for anyone involved with the enterprise experience, we’re considering changing the conference’s name to something more inclusive—perhaps simply “Enterprise Experience”. While the name is important, the program and the people it serves are what matter most. If you’d like to keep up on our progress and let us know what kind of program you would like to see, please subscribe to our Enterprise UX community mailing list. That’s where we’ve already been sharing resources, ideas, and discussions about Enterprise UX for many months now, mostly in the form of free monthly videoconference calls. I hope you’ll join us and be part of the discussion! We recently posted the preliminary program for DesignOps Summit 2018! We say “preliminary” because our sessions’ titles and descriptions will get tuned between now and November. As with all Rosenfeld Media conferences, we spend months torturing, er, working closely with our speakers to tune their content and presentation style. We also have some “TBD” spaces in the program where we plan to try some different types of content out; more on that soon. But for now, know that we’ve planned a great program, headlined by keynoters Leisa Reichelt (Atlassian) and Doug Powell (IBM). Have a gander; hope you’ll join us November 7-9 in New York City! You’ll be pleased to know that all Rosenfeld Media paperbacks and Two Waves paperbacks are 15% to 50% off this week (through 11:59pm EDT Saturday, August 11) when you purchase directly from us. Don’t miss out! Justifying design and research is the top challenge that comes up in our user research at Rosenfeld Media. We want to help you get over that hump, so we’ve put together The Business Case for Design, a one-day virtual conference that takes place Tuesday, July 31 (10am-5pm EDT). At the end of each session, you will have an opportunity to ask questions. Bring your whole team for a shared learning experience, or attend solo in your PJs—after all, it’s a virtual conference! And you can listen to the session recordings at your own convenience—they’re included in the price of your ticket. Save up to US$100 if you register by the end of the day this Friday, June 29. I hope you’ll join us July 31 for the Business Case for Design! We’re hiring a Marketing Manager! It’s a full-time gig—here in Brooklyn, NY, USA—with benefits, flexible work hours, lovely co-workers, and incredibly interesting challenges. Please peruse/share the posting. 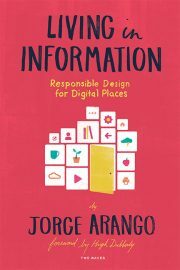 Happy day; our newest book, Jorge Arango’s Living in Information: Responsible Design for Digital Places, just launched! You might already be familiar with Jorge’s writing; he co-authored the 4th edition of the polar bear book with Peter Morville and me. Jorge’s background is in architecture and—not surprisingly—his book is structured around the concept of designing places, rather than products and services. As an information architecture guy, I’m really excited by this metaphor; it opens up whole new possibilities in how we understand what we’re designing. We already have a whole vocabulary around place; it’s time we applied it to our design process and saw ourselves as placemakers. Really, we have no choice—as Jorge points out, we are already literally living in information. And i’s up to us to own that responsibility, as recent events make clear. I hope you’ll enjoy Living in Information. It’s our latest book on our Two Waves imprint and—like all of our books—is available in PDF, ePUB, MOBI, DAISY, and a lovely color-illustrated paperback printed on high-quality paper in the USA.